We're so pleased with the stunning artwork from Mariah Bazan that will help folks notice this amazing novel by Sang Kromah! Fans of Red Queen by Victoria Aveyard, The Looking Glass Wars by Frank Beddor, and Twilight by Stephanie Meyers will love this YA fantasy romance. Bijou Fitzroy is strange. With the unwanted gift of being an empath, she has spent her entire life as a sheltered recluse, homeschooled by her secretive and overprotective grandmother who never allows them to stay in one place long enough for Bijou to settle and make friends. When Bijou and her grandmother move to Sykesville and she starts to attend the local high school, Bijou’s world begins to crumble, town locals begin to disappear, the creatures from her nightmares begin to take shape in her reality, and she finds herself at the center of a war she never knew was being fought all around her. 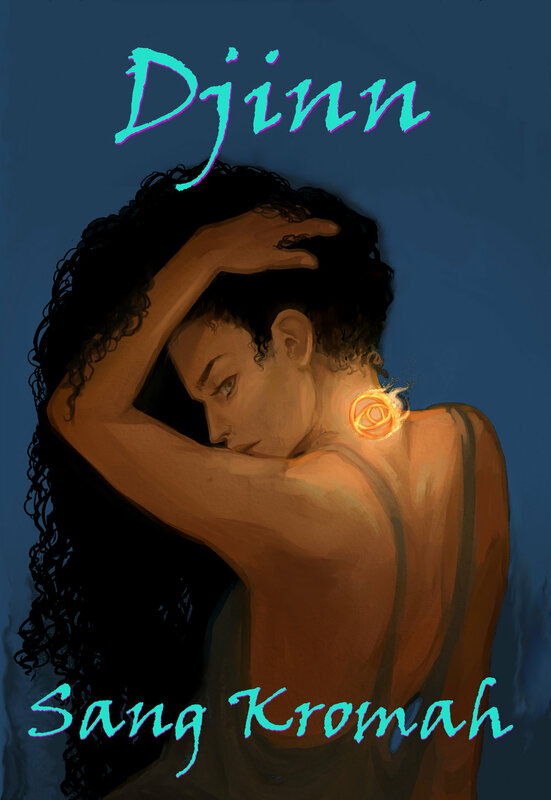 Djinn (Harcover ISBN: 978-0-9983880-6-9, Trade Paperback ISBN 978-0-9983880-5-2, eBook ISBN 978-0-9983880-7-6) will be released on March 20th of 2018. Ms. Kromah’s novel is the fourth of nine books by women we’ll be publishing during 2018 as part of our commitment to accept Kamila Shamsie’s challenge to make 2018 The Year of Publishing Women and only publish women for a year. Update: Check out the full dust jacket for the hardcover edition. So cool!